So here I am , back at Cuttin’ Edge, getting a color & trim, and I have a chance to try new KCup flavors. It always is nice to try a flavor and not have to commit. Kind of like life, and how you wish it could be! Today’s flavors are Folger’s caramel drizzle, and Van Houtte’s Apple caramel pie. I sigh, because, America can’t cure cancer, but these coffees smell exactly as advertised. How they manage to make this happen is beyond me. I have thought that I should dedicate one blog a week to work on a list of things to help keep my perspective . Right now I am a little out of sorts, so bear with me. 1. I am thankful I am employed and get a check. I am burnt out from being there 28 years, but there has always been a check. More importantly,I am grateful for the friends I have made along the way. 2. I am forever thankful and in love with “Shingleman”. God smiled on me the day I met him. 3. I love my girls, Zush & Kash…..enough said. 4. I thank God ,after 3 cancers in my 30’s, for every day I put 2 feet on the floor. Some people can’t . If the trailer is a-rockin’…. Below is the surprise I found when I got home from work yesterday. 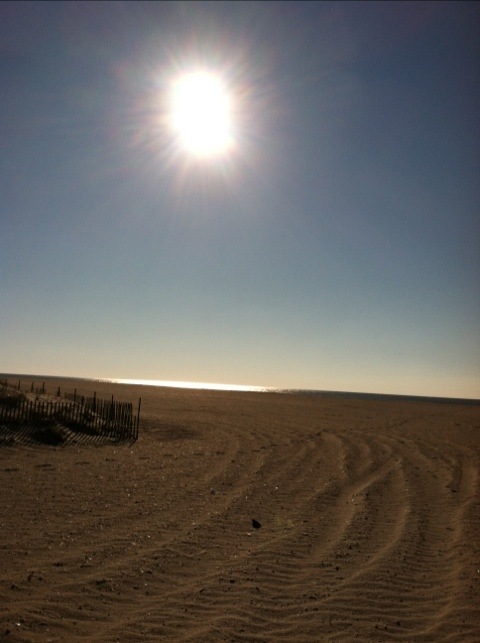 Sorry, but I took the picture at sunset so the lighting is off. It’s a construction worker’s trailer. As you come up the street, I was having heart failure because it appeared to be immediately in front of our house. Fortunately it’s not: it’s in front of our neighbors. Turns out that the city will be putting new water mains up and down the street and parking will be limited**quoting the no parking signs** from 3-27-2012 thru 7-27-2012. Yes, you read right. FOUR months. Four months of coming out of my house every morning and seeing this monstrosity in the street. What get’s me is there are TWO apartment buildings across the street from us: why they felt the need to put this in front of a residence I’ll never know. So, unlike the Costanzas in Seinfeld, “Shingleman” and I will NOT be rockin’ this trailer…we’ll only be marking the days off the calendar until the mess is finished. 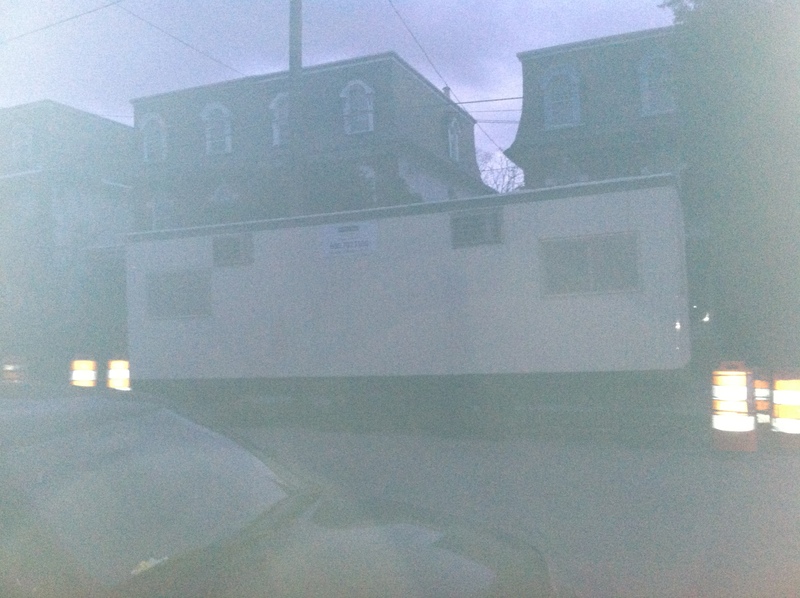 Posted on March 29, 2012 Categories JimTags apartment houses, construction trailer, water main workLeave a comment on If the trailer is a-rockin’…. First, let me apologize for using my stock headache picture, but today is shaping up to fit the bill. 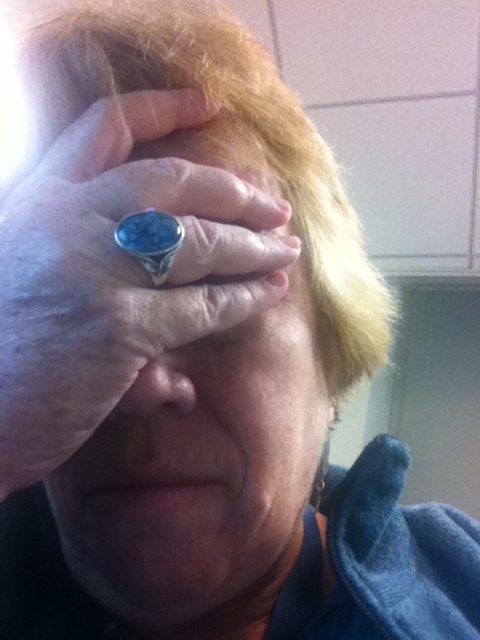 I have to attend a four, yes FOUR hour mandatory training class given by my employer on sexual harassment. Talk about preaching to the choir. I know that you have to do what they want you to do, but, seriously? Four hours? Do I look like a fraternity boy? Yes I know I am getting paid for it, and in essence, it’ll be the easiest four hour pay I will make. Quite frankly, I just don’t care. I have had this “mandatory” class four times in twenty-eight years. I, hopefully, am getting out to retire to “Undisclosed Location”, and this will play a major part in my retirement. The things we do for a check…. You say potato, I say po-tah-toe…. So if you have been following the epic saga of ” Shingleman”, you’ll remember our hero, “Shingleman” has been sleeping sporadically, at best, due to the nerve pain. 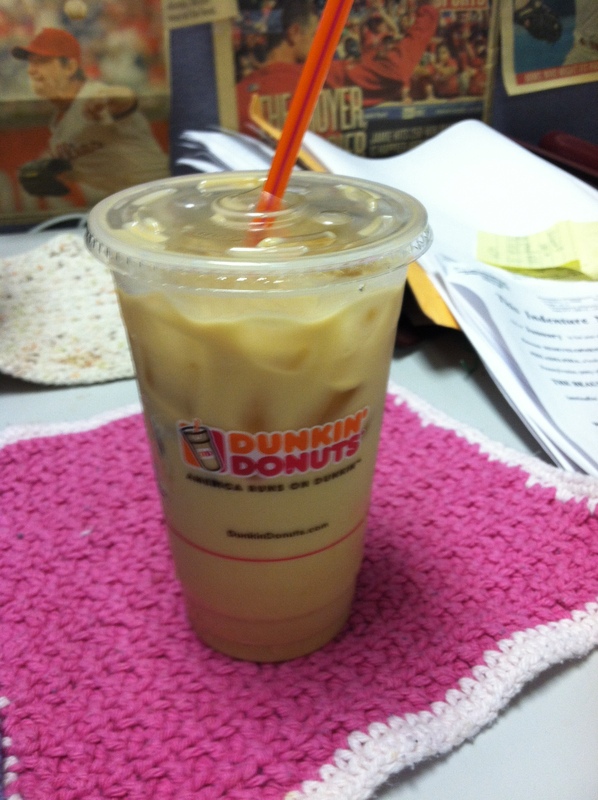 Yes…Dunkin’ Donuts…Yesterday, being Monday, was “use your punch card for a free iced tea or coffee” day. Coming in from the train in the morning, I stopped and got an iced coffee. Didn’t have any coffee but that. Then lunchtime came. HAH! I have another card, I said to myself (yes, I often have conversations with myself…lol) hey, you have another card: get one with lunch. 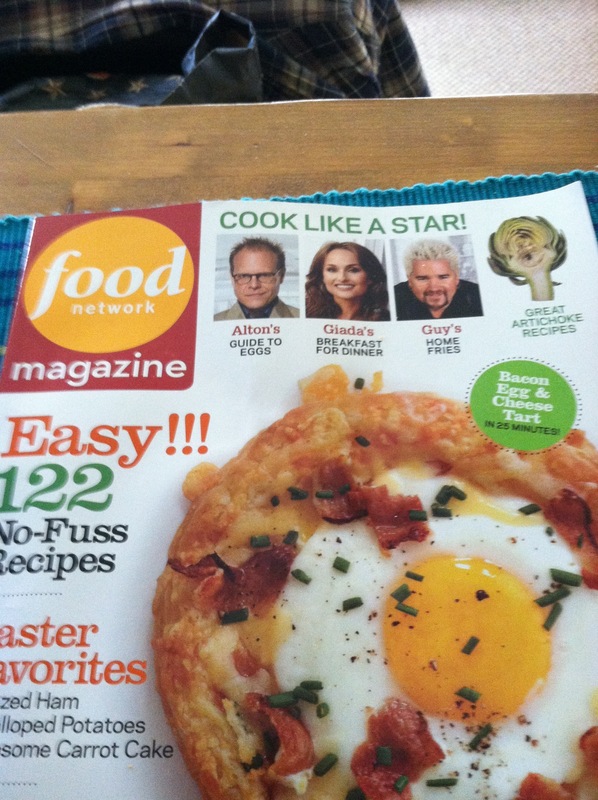 Keep in mind that I was eating lunch around 1:30 pm yesterday…AND…I am over 50….yup, you know where this is going. I didn’t fall asleep until 1 in the morning and then promptly got up at….TWO! Finally fell back to sleep at three, and got up for the day at 5:15 a.m…..”Shingleman” actually slept a few hours : I know because I heard the snoring. Posted on March 27, 2012 Categories coffee, Insomnia, JimTags Dunkin' Donuts, iced coffee, iced tea, piunch card, snoringLeave a comment on You say potato, I say po-tah-toe…. As I have gotten older, something I never really had an issue with has come back and bit me with a vengeance… POLLEN. The mean part is that I love flowers. I love flowering trees. What I don’t like is the 9am sitting at my office desk putting a frozen ice pack in the corner of my eyes because my tear ducts are so itchy I want to scratch them out. I hate the inhaling of what feels to be a gallon but is actually a few sprays of saline to unblock my nose. I loved Easter. 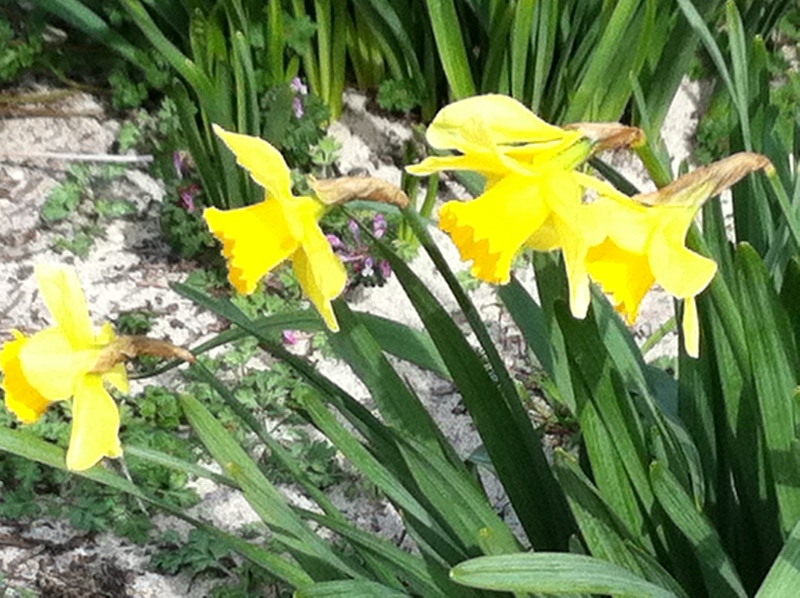 I loved hyacinths, daffodils and the like. What I can’t tolerate is hearing on the television is the side effects that seem to be recited for almost three-quarters of the commercial while going 65 MPH for any allergy treatments. Anyhow, I figure that I have enough issues that I have to take mandatory medications for that I don’t need to throw over-the-counter on top of. I have become one of those people who actually looks for the pollen report on the weather channel….. Pass the saline spray, would you? As Jim’s Mom is still here, I have to bow to company,so as a result, Mamma Mia- the movie is currently blaring from our tv: at least Mom is enjoying it. I had to get up early to catch Sandra’s money saving meals, and Hungry Girl. It’s all good- I am on my way to do my 4,2 mile buddy walk, only to come back and pack up for the city.